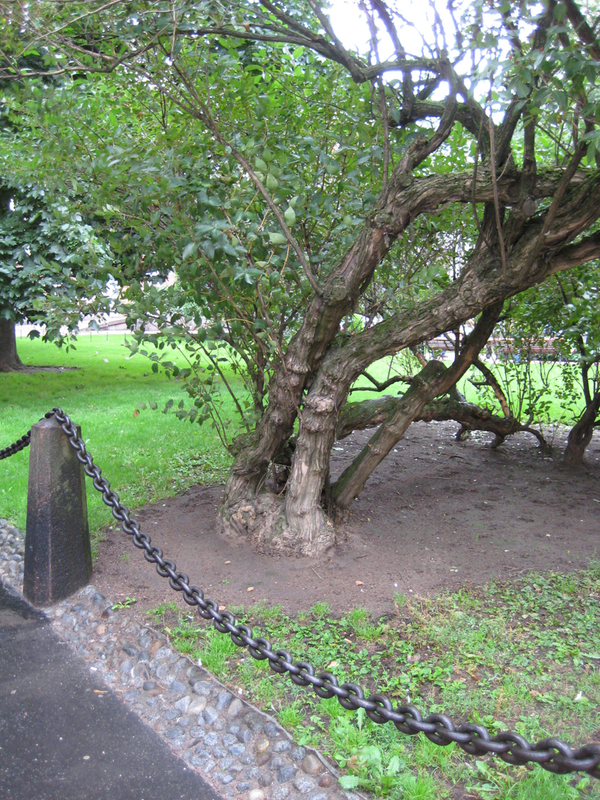 Nearly all of Helsinki's old parks have Tatarian honeysuckles, and some of them are very old. The Tatarian honeysuckle, which originated in southern Russia, was grown in Finland in the 1830s. It is durable, undemanding and long-lived, but perhaps a bit humble for contemporary tastes: its red or white flowers are fairly unremarkable, it has no autumn colour and in winter the shrub is the colour of grey twigs. Tatarian Honeysuckles do lend an air of timelessness to a park, when fine ladies with their parasols would stroll in the parks. There are many cultivated forms of Tatarian honeysuckle, and it hybridizes easily with its near relatives. 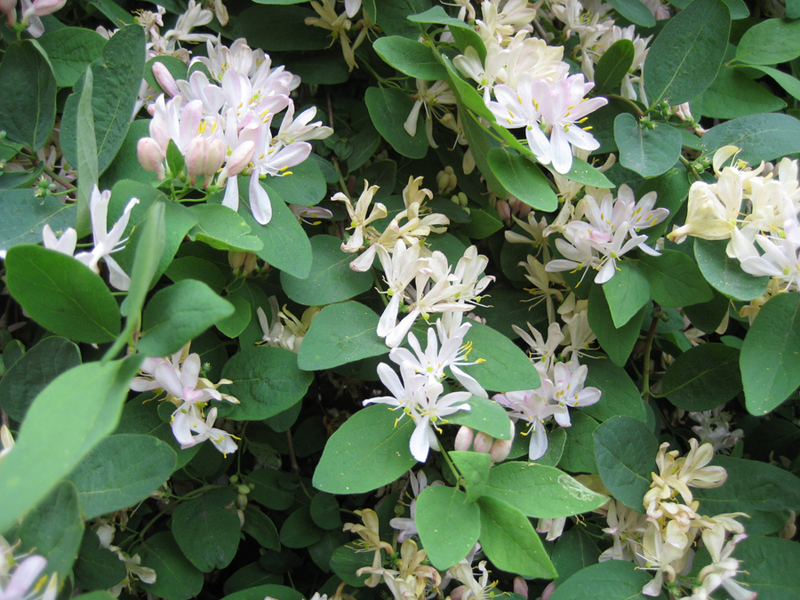 In the 1980s, a study of Finland's old Tatarian honeysuckles was carried out, including in Helsinki, and the best clones were selected for propagation. A white-flowered clone was taken from in front of the Olympic Stadium and was given the name 'Poutapilvi' ("Summer Cloud"). 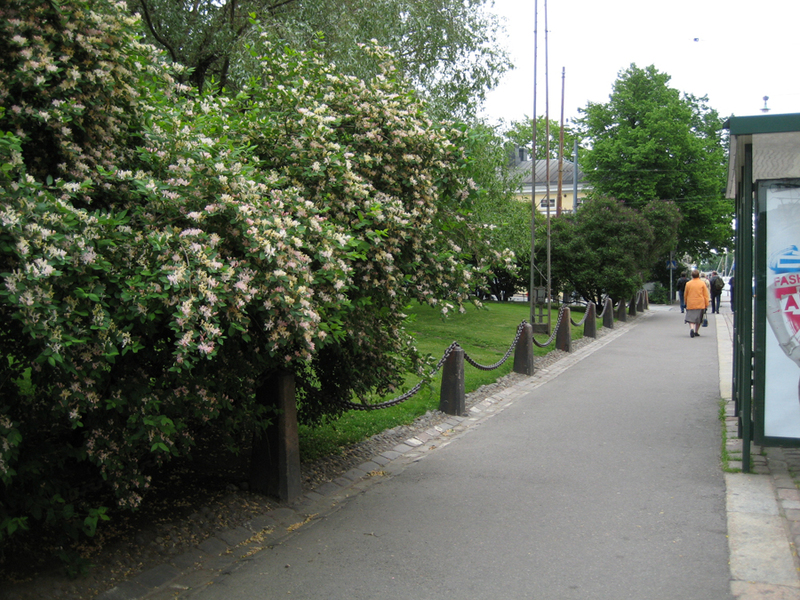 Tatarian honeysuckles have been planted in Helsinki's parks at different times. There are fine old shrubs growing in Ritaripuistikko, on Tähtitorninvuori and in the Tuomarinkylä manor park.